Seriously who is surprised that I chose a Juliet Marillier as my FIRST “Waiting on Wednesday?” I was actually going to use Flame of Sevenwaters for my first choice but there is no pretty book cover yet so I decided to go with this one. I AM SO EXCITED that Juliet is choosing to write another series!! 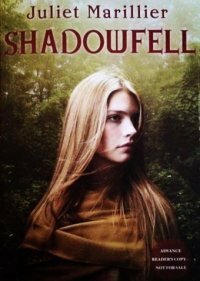 She describes this book as such: “Shadowfell, first book in a crossover series for YA/adult readers, is a story of tyranny and rebellion set in ancient Scotland.” I. can’t. wait.